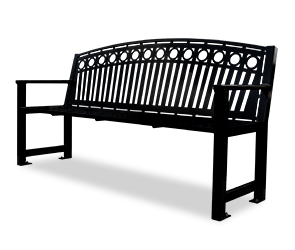 This elegantly styled bench with laser-cut back pattern is well suited for any setting. The durable powder-coated finish is available in the colors shown below. Hand-crafted using the finest materials to ensure many years of comfort and service. Ships fully assembled.